The venue for the 85th Stamp Day to be held in Kalocsa from 6-8 July 2012 was the town’s Catholic Primary and Secondary School of Our Lady. 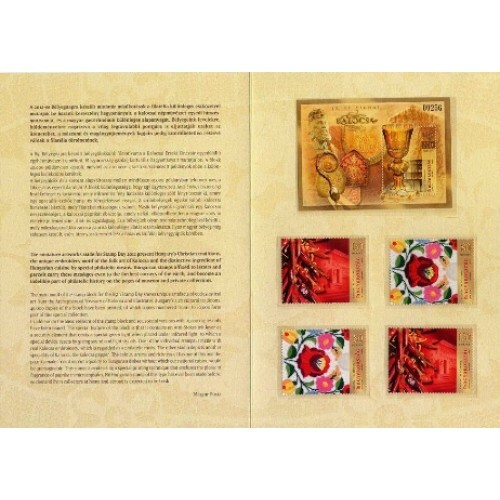 Magyar Posta traditionally greets this greatest festival for stamp collectors by issuing stamps. In addition to the souvenir sheet with extra charge, a dual denomination stamp series and a special version of it will come out. Magyar Posta will devote the surcharge sum (200 Forints per sheet) to supporting organised stamp collecting activity in Hungary. The 80 Ft stamp of the series shows Kalocsa embroidery, while the 130 Ft stamp features a paprika string and part of the exterior of Kaposi’s Paprika Museum. The stamps of the two denominations are arranged tête-bêche, i.e. head to tail. Some unique mementos of religious art from the Kalocsa Archiepiscopal Treasury can be seen on the stamp image and the frame drawing of the numbered sheet. A special feature of the sheet is that a so-called Anti-Stokes layer supplemented the offset printing process used on it, thanks to which the stamp emits green light and sound when placed under infra-red light. This feature has a safety function, since it can only be detected by instruments specially developed for this purpose. The special pigment layer – by the caption “MAGYARORSZÁG” in the stamp image of the sheet – emits green light under the HORUS 1019 light, while the same infra radiation is triggered in the form of a beeping sound when the stamp is inspected with the RADIR 2029 device. 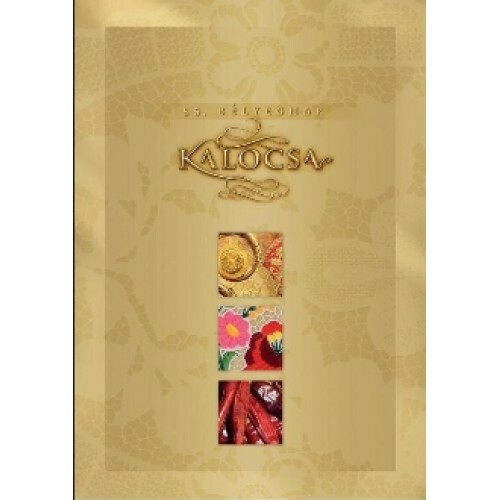 The stamp sheet numbered from 1-10,000 is available in a special stamp selection titled 85th Stamp Day: Kalocsa Collection. In addition to the basic version of the stamp series, the series’ special version also forms part of the exclusive collection and can only be purchased as part of this selection. A special feature of the 80 Ft denomination is that its Kalocsa rose motif is real embroidery, while the 130 Ft stamp image with a paprika motif has a layer of paprika fragrance coating which contains the special aroma of paprika sealed in microcapsules. This compilation was printed in 10,000 copies, which is equal to the number of copies made of the special version of the stamp series.